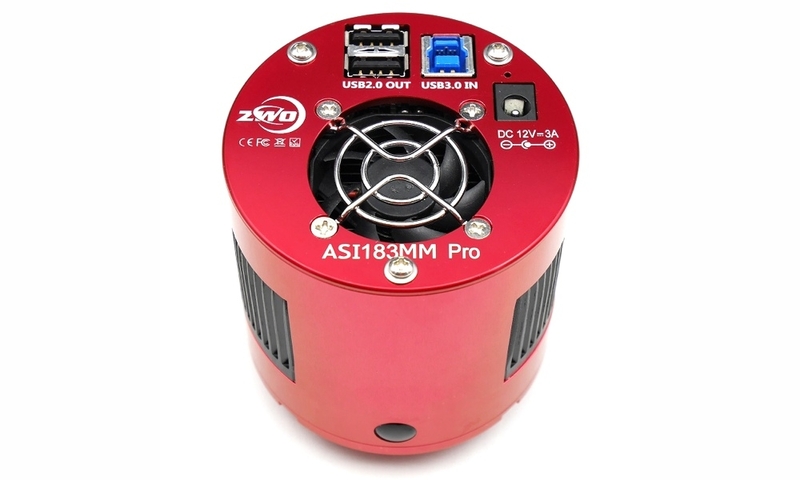 ZWO ASI183MC-PRO color is the most sensitive cooled USB 3.0 camera by ZWO thanks to 84% peak QE. ASI183MC-PRO uses huge IMX183 CMOS sensor by Sony with a diagonal of 15,86mm and an incredible 5496 x 3672 pixel resolution (20.48 megapixels), DDR integrated memory and a fast USB 3.0 port that allow the camera to reach 19 fps at full resolution! Thanks to the powerful cooling system with double Peltier cell, the sensor is cooled down to -45°C in respect to ambient temperature. Sony back-illuminated sensor with Exmor R technology has excellent Deep-Sky performance. ASI183MC-PRO QE peak reaches a remarkable 84%. In Ha channel, QE is still a over 60%. Having high QE means more of the light that enters your telescope and reaches the sensor is actually used. With 84% peak Q.E. and no less than ~50% within the visible spectrum, the ASI183 will utilize a high percentage of the light that reaches it, improving your signal quality. ASI183MC-PRO cameras has a very large full well capacity (15000e) for such small pixel size, 1.6e read noise @ 30DB, and 12stops dynamic range @ gain=0. The ASI183MC-PRO cameras also utilize firmware features to minimize amplifier glow for maximum performance in astrophotography. 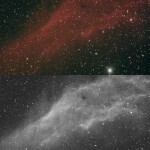 Fast FPS can be used in solar (white light) and lunar imaging, as well as for live viewing/EAA.The high speed readout may also be used for real-time focusing, true lucky imaging of double stars and other small objects, planetary imaging of the major planets in the solar system, and much more. The ASI183MC-PRO has a 2-stage TEC cooling system that enables deep cooling (40°C-45°C below ambient). 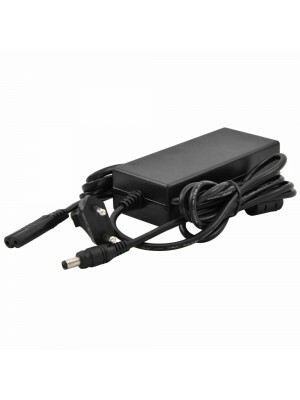 The cooler requires an external power supply, which is not included with the camera. ASI183MC-PRO camera includes a 256MB DDR3 memory buffer to help improve data transfer reliability. Additionally, the use of a memory buffer minimizes amp-glow, which is caused by the slow transfer speeds when the camera is used with a USB 2.0 port. 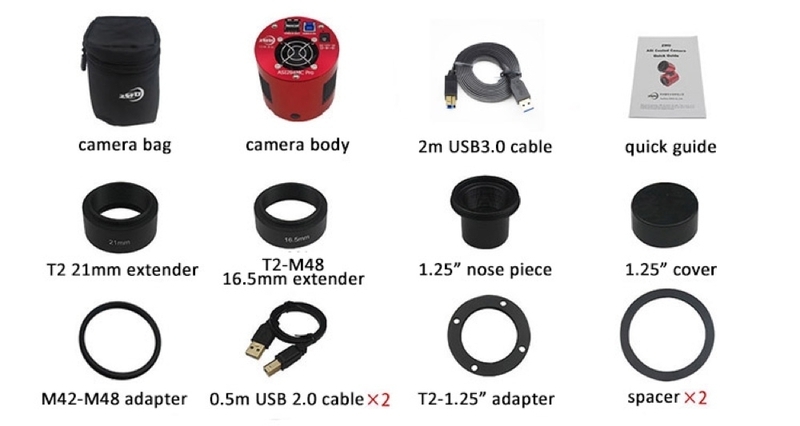 USB 3.0 port provides 5Gb bandwidth to let ASI183MM-PRO run at 19 fps (12bit, normal mode) or 19 fps (10bit, high speed mode) at full resolution (20.18 megapixels).